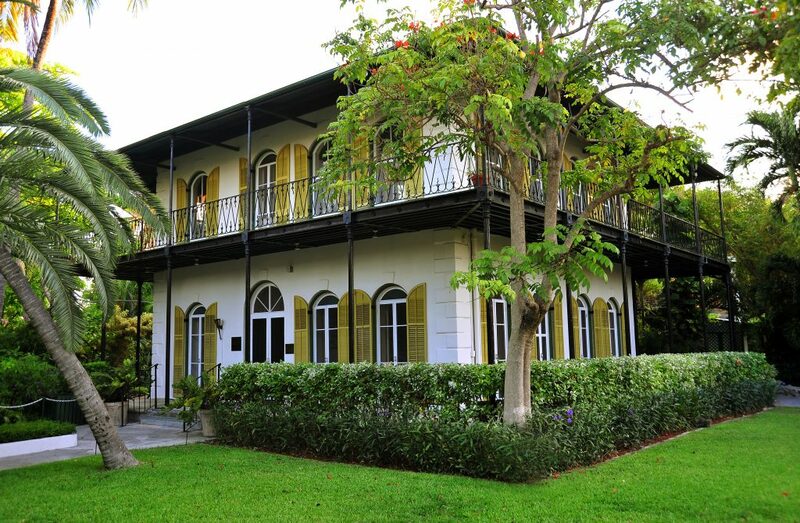 Writers, maybe more than other kinds of tourists, seem to be fascinated with authors’ homes, and this one, where Ernest Hemingway lived and wrote in Key West, Florida, is both famous and beautiful. I wrote about it recently for Roam, The Travel Channel Blog; you can see more here. Hemingway, of course, was known for his economy of words, and his novels are considered American classics (although more than one high school student, forced to read The Old Man and the Sea, has disagreed). We visited the house one summer, and I wondered how anyone could endure the tropical heat–until the guide pointed out how the windows and doors could stand open to the island breezes. When the wind blows and the palms rustle, it’s pretty magical. 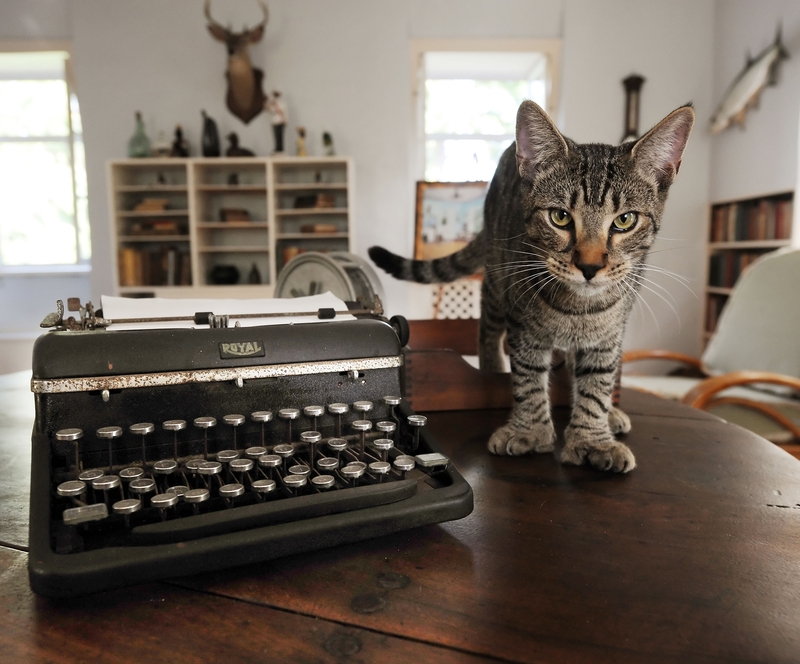 And of course, there are the legendary six-toed cats, like Hairy Truman, seen below. If you visit, be sure to look for the penny embedded in the cement around Hemingway’s outdoor pool. Built in the 1930s, it was an incredible extravagance, costing over $20,000 dollars. Hemingway remarked that the penny was his last cent!